My baju raya, hubby's, my son, oh samping, oh and kueh raya! Hmm, what else. Raya shopping can be overwhelming sometimes! I wish there is one special place where I can shop all! 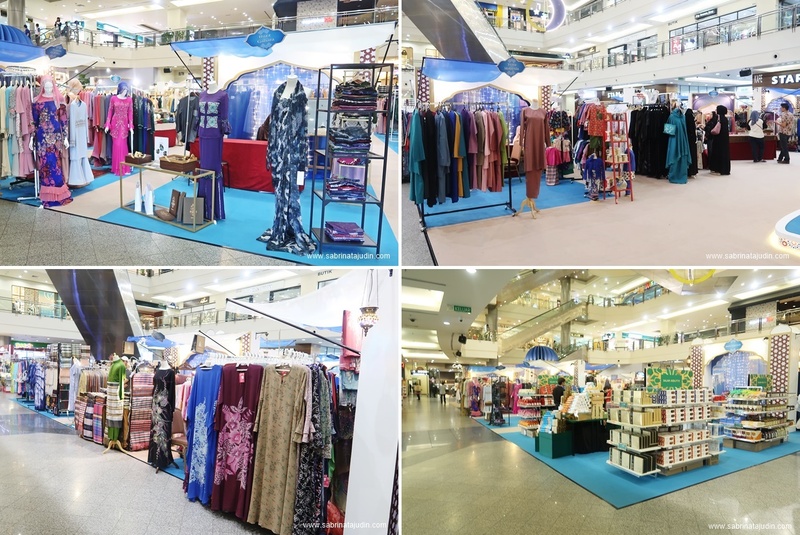 Visited Great Eastern Mall Raya bazaar the other day. It is definitely a one-stop shopping centre for this Raya season! Let's take a tour! They have various cookies and kueh raya section for you to look around. Not forgetting the raya garments with an endless choice! From baju kurung, baju raya that is up to the trend! Hijab accessories, praying clothes and also garment care items. Getting into the Raya vibe, with the beauty of the Arabian decoration. I had fun walking around and do some shopping there. 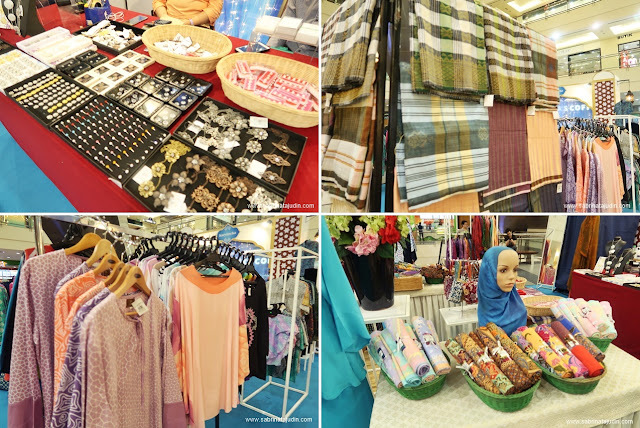 Hope you will find this post helpful especially on where to shop for this Raya season! 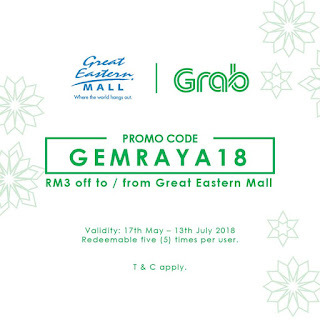 With every RM150 spent in Great Eastern Mall, you will receive their exclusive Raya Packet! *Limited to 3 Raya Packets in a single receipt per customer per day. Also, for the spending of RM300 & above, you will receive their exclusive Raya Design Tray with a combination of 2 receipts per day! 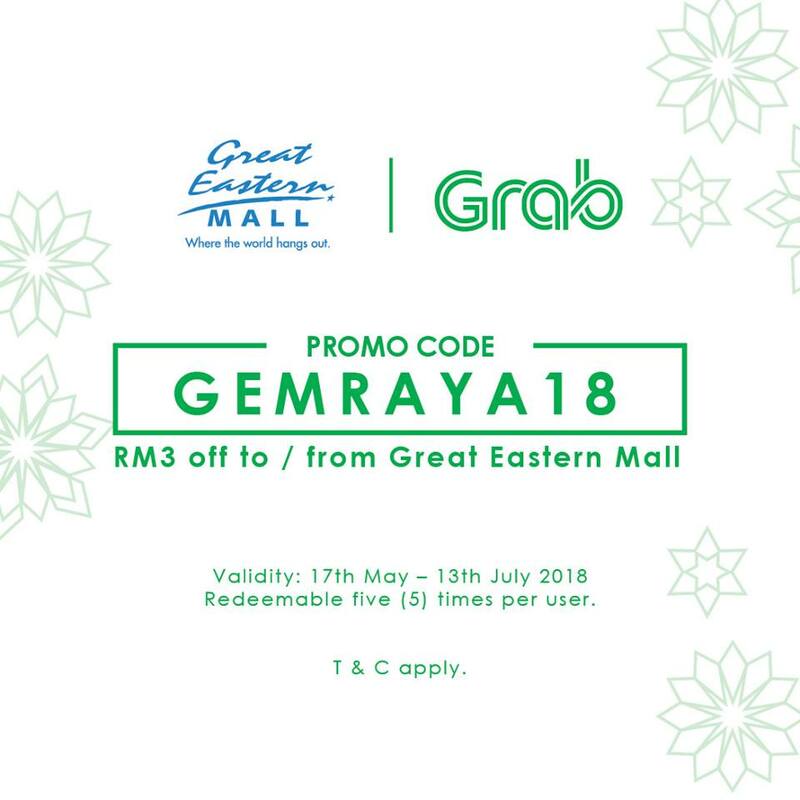 Enjoy RM3 off your Grab ride to and from Great Eastern Mall with the code above!